Since 1950 there have been many more heat waves and record warm temperatures than in previous decades. This will only increase in future decades, as will heavier rainfall events in tropical regions and the high latitudes, according to the Special Report on Managing the Risks of Extreme Events and Disasters to Advance Climate Change Adaptation (SREX). The hottest day that occurs once in 20 years is likely to become a one-in-two year event by the end of the century, except in the high latitudes of the Northern hemisphere, where it is likely to happen once every five years. The average tropical cyclone maximum wind speed is likely to increase, but the global frequency of tropical cyclones is likely to decrease or remain unchanged. [Update 24:00 EST Feb 2. Can it be true? No one has been killed or seriously injured? If that holds up over the next few days it will be absolutely stunning. Kudos to Australian govt and Australians. 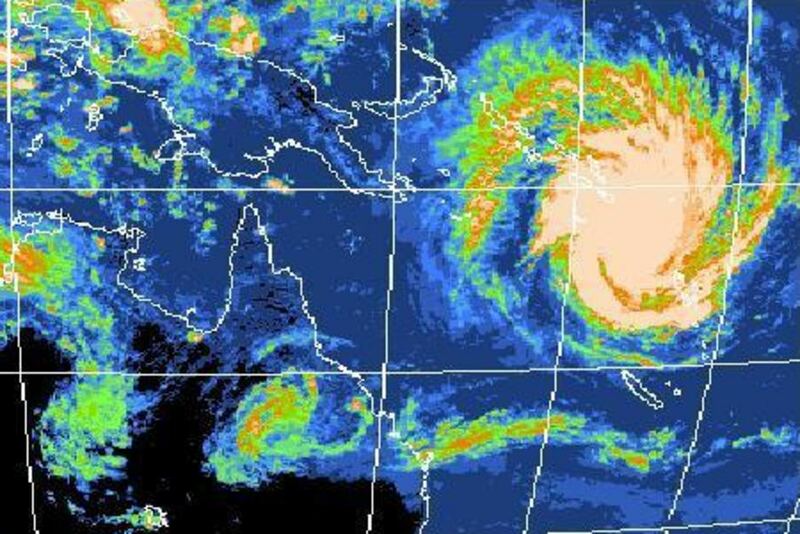 [Update 10:30 EST Feb 2 LANDFALL: South of Cairns at the beautiful town of Mission Beach as Cat 5. This is where Cyclone Larry came ashore in 2006, the worst cyclone in 100 yrs, and destroyed much of the area. The last 1500 endangered cassowaries — large flightless bird — live in the jungles there. For comparison Hurricane Katrina was also very large but only about a Cat 1 or 2 on landfall based on final data from NOAA that went largely unreported. Katrina’s storm surge caused most of the damage which could be the case with Yasi. One major difference is that Queensland does not have a major city on the coast (or even a small one protected by poorly designed levees). Shockingly even a year after Katrina more than 500,000 people remained displaced. Large areas of Queensland are still underwater or mud-covered from flooding just 2 weeks ago that caused billions of dollars in damage. It was so bad that Australians now have to pay a temporary flood damage tax to help cover the costs… And now Yasi. Australia may need a permanent climate change disaster tax. 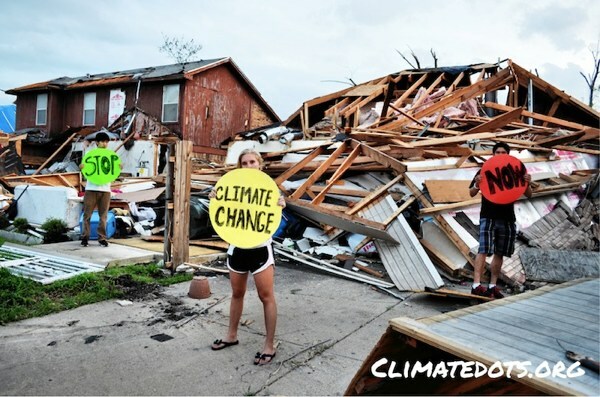 This is what climate change looks like – record-breaking extreme weather events. The Queensland floods nor Yasi are the direct result of climate change. However because burning fossil fuels traps more of the sun’s heat in the atmosphere the odds and strength of extreme events increase as climate science has stated for two decades now. Here is my latest article on this The Yin and Yang of Climate Extremes We Will See More of.